Please join the IAIA Museum of Contemporary Native Arts’s (MoCNA) tri-monthly book club, the MoCNA Reader, as we welcome children (K–5) to the museum. 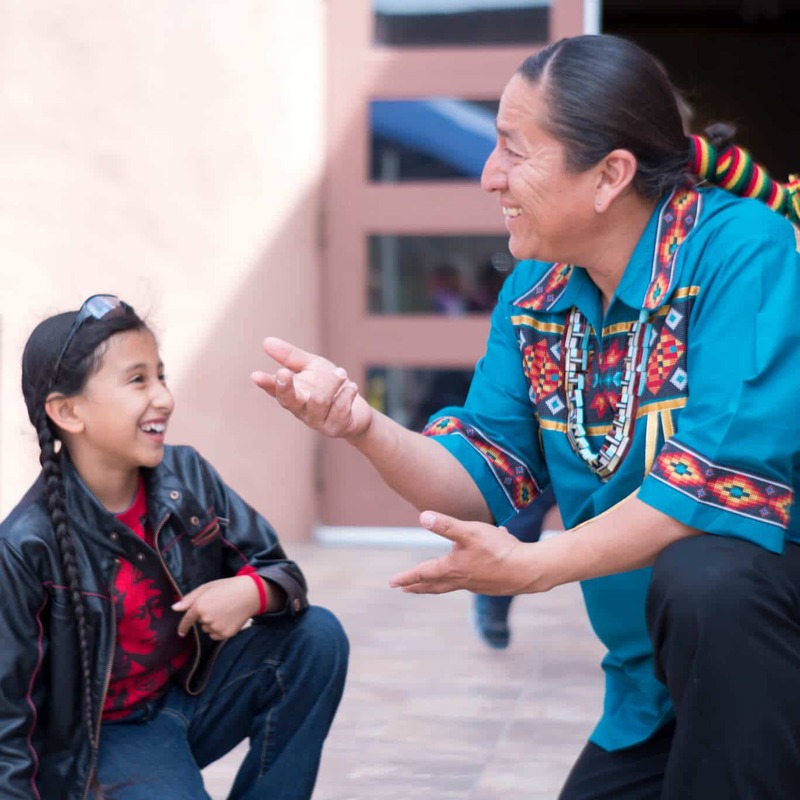 The museum store will highlight Native children’s book author, Emmett “Shkeme” Garcia, from the Pueblos of Tamaya (Santa Ana) and Walatowa (Jemez). The children’s event will include readings from Coyote and the Sky: How the Sun, Moon, and Stars Began, and Sister Rabbit’s Tricks, plus a sing-a-long, a book-signing, and snacks. During the event, MoCNA is offering a 20% discount on all children’s books sold in the museum store. Come join us for this fun-filled family event.